OK moms, let’s get real. 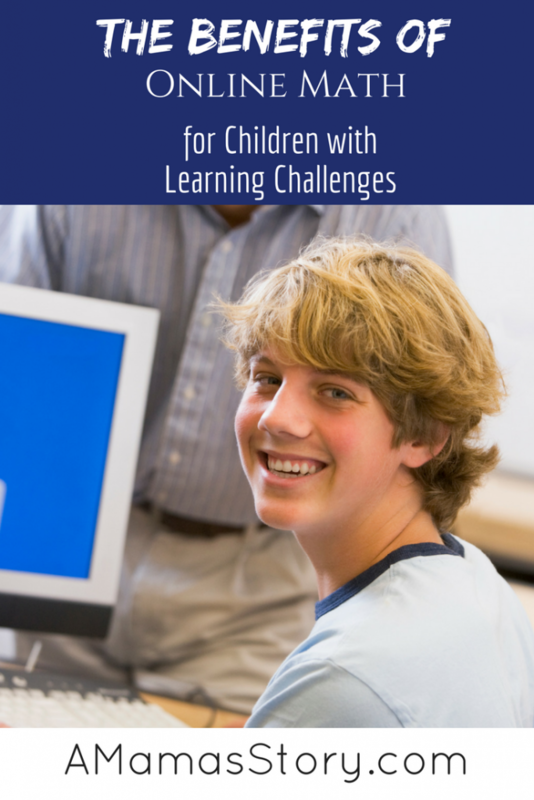 Homeschooling a child with learning challenges is both rewarding and stressful. Throughout the years, we’ve experienced days filled with joy and tears, and I’ve learned that it’s important to focus on strengths. 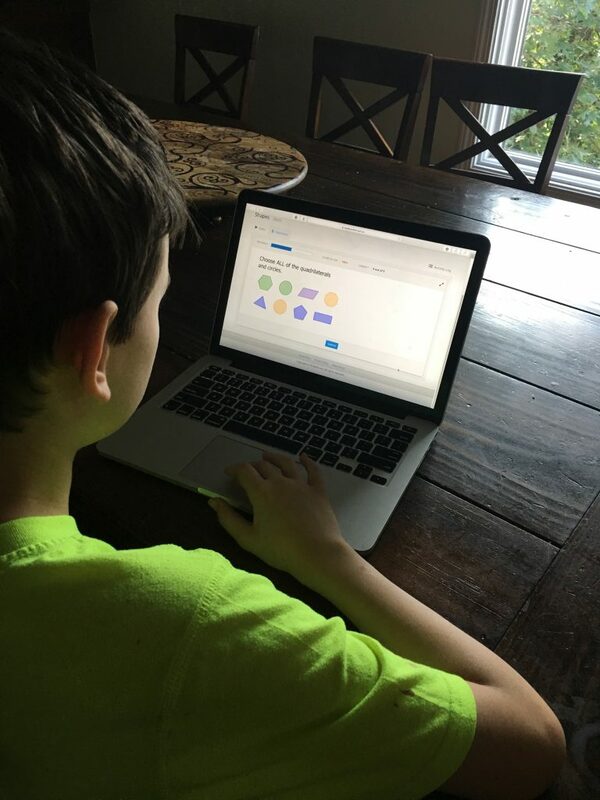 So when our math whiz struggled with traditional learning, we changed courses and discovered that online math was the game changer. 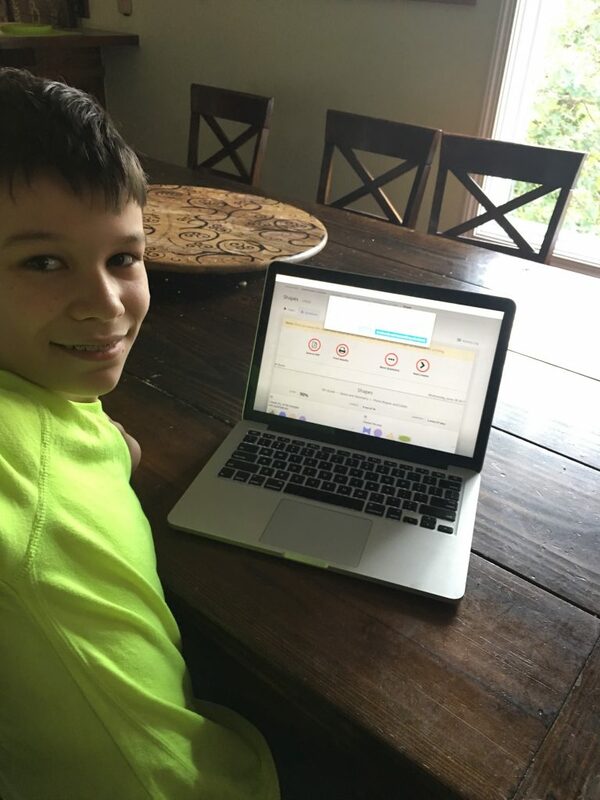 Disclaimer: I received a family subscription to CTC Math and compensation for my time to write about our experience using CTC Math. Back when we used mostly physical texts/workbooks, a typical day included a child or two dragging their heels, even asking for chores and the date of our next dentist appointment—anything to avoid doing schoolwork. I can understand wanting to avoid subjects in which they struggled, but since math and logic always seemed to come easily for one, in particular, it surprised me that even math was a subject that somehow managed to get shelved. I realized that this young man could learn and learn well; however traditional texts and workbooks don’t do the trick. So, I decided to ditch the books we were using and try something new. The result? 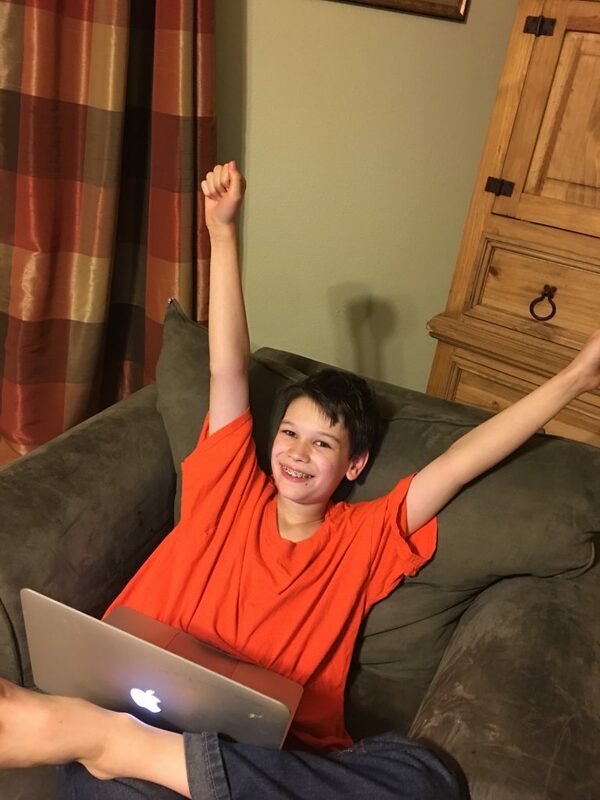 I watched this kid soar when we introduced an online math program. I witnessed someone take a subject in which he was reasonably proficient, and make moves towards reaching a potential that he didn’t realize he could reach. And the most interesting part? He asks to do school. In fact, he borders on hounding me about assigning his lessons. But that’s still not the best part! Mom, I love this. I understand it. Can I stay in it? I don’t want to change again. Now, considering that not only is he doing math without resistance, but also bugs me to assign his lessons, and he’s excelling, succeeding, and understanding, why on earth would I dream of changing? We have no intention of leaving CTC Math anytime soon. Earning another certificate feels great! I first heard of CTC Math as I read a list of most recommended curriculums for homeschool moms, written by homeschool moms. It had the “mom approved” stamp, but I wondered how it would benefit the unique needs of my family. 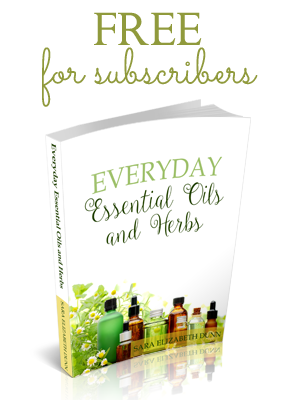 Once I set up our account (remarkably easy and intuitive, by the way), I saw how I could place my children into particular areas/levels, and I knew this time was going to be different. An example of the tasks/assignment screen in the parent account. I can see all of my children and their assignments at-a-glance in the same place. I already mentioned that we’d used a variety of math curriculum and most of these offered a placement test. CTC Math’s placement offers something else, and it made this mom to special needs children incredibly happy. Most curriculum providers have students take a test that places them at a specific grade level, or it may have them begin at a particular point in a grade level and then move forward. How CTC Math’s placement benefits students is that it places them in specific areas. For example, I could assign a diagnostic for 5th-grade multiplication and 6th-grade division. Depending on how the student performed, I can assign lessons across the different levels. There’s no need to repeat an entire grade level or cover material the child has already mastered when he or she simply needs to review an individual topic. I can even choose to hide the grade level, and if you have a child with learning challenges, you understand how awesome this is. Earning the certificates is a great confidence booster—students earn bronze, silver, gold, or platinum, depending on how well they’ve mastered the material. Homeschool moms are busy, and if you’re like me and homeschool children with special needs, then you also understand the impact that therapies, breaks in routine, etc. can have on a homeschool day. Balancing school with therapy schedules and other appointments is imperative. 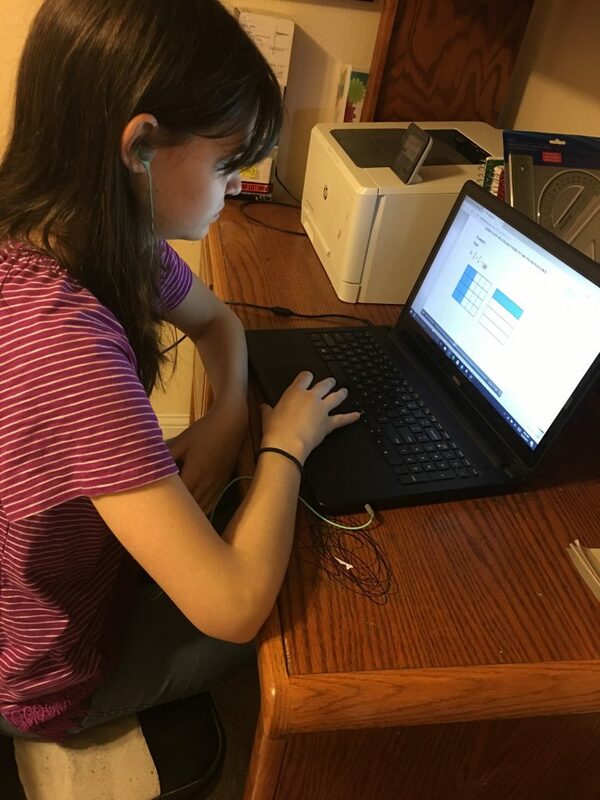 CTC Math enables our kids to do math lessons anywhere we can get an internet connection. Not only can they complete assignments at home at a desk, but they can also work on lessons while waiting for a sibling to finish a therapy session, and even in the van while we’re on the road. As a parent, it takes about 10 minutes per student to schedule out lessons for the week. I can view reports and make assignments for all of my students in the same portal, which makes keeping up with it all a breeze. I set the begin date, as well as the assigned due date, and the student signs onto the account and begins work. When the student clicks on a lesson, he or she watches a short video–my kids say this is the best part– and then answers the questions. 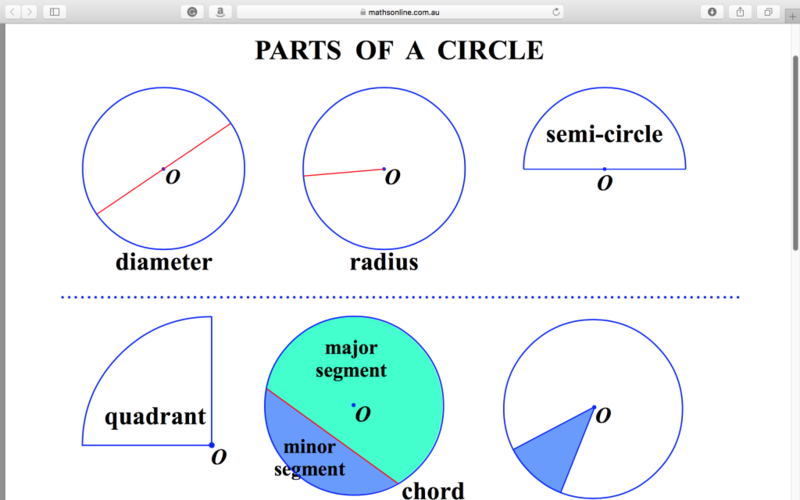 Downloadable pdfs help review the lesson and are ideal for those who need visuals. An example of a pdf that correlates to the lesson. My kids like the colorful illustrations.Depending on the complexity, lessons take my kids anywhere from 15 to 30 minutes. I receive a report each week, letting me know how my students are doing, and whenever someone earns a certificate, we get a printable certificate e-mailed to us. Making it even more mom-friendly, all of the record keeping is done for me. I can review reports, grades, and progress in my portal. My children like getting instant feedback and don’t need to wait for me to do the grading. Not only for homeschoolers looking for a year-long math curriculum, but CTC Math is an excellent way to catch up. It’s also perfect for finding and covering any gaps. 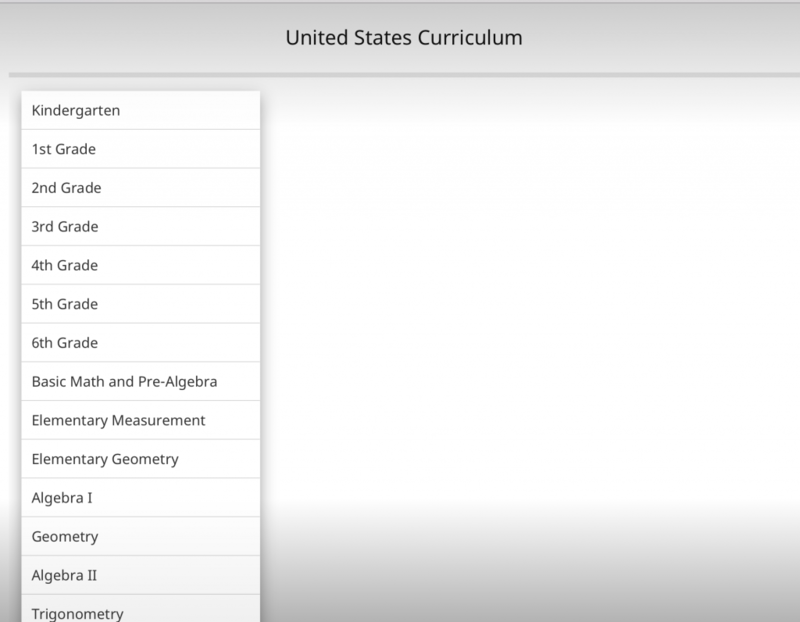 Customizing the program for each student is easy, and he or she can work at his or her own pace. It’s like having a portable tutor specific to your child’s needs. My oldest daughter worked through some of the Algebra problems and thought it was a good review for cementing concepts. Even as a supplement, it covers enough material to be a solid complement to a separate math program, while not overloading them to the point that it becomes drudgery. CTC Math holds their attention. If you have a large family, being able to find a curriculum that fits into the budget is important. Not only do homeschoolers get 60% off, but CTC Math also offers a family plan if you have 2 or more students using the program. Considering that it’s a full program for grades K-8th, or as at-home tutoring, the family plan is an exceptional value. By the way, if you’re not ready to purchase and want to give it a try in your home to see if it’s a good fit for your family, they’re offering a free 4-week trial. We couldn’t be happier. Each summer we continue with some schooling since most of our kiddos do best with routine. The last I heard, this is the best “summer school” ever. That’s so cool! Yes, if you give it a try, let me know how it goes. My son absolutely loves it!